The Army Is Developing Stealthy 3D Printed Squid Drones! This is going to destroy the company. Wasn't good news for the cows involved in this story , was it? Topic: Forever with electric dreams..
not if they are turned into lampshades. 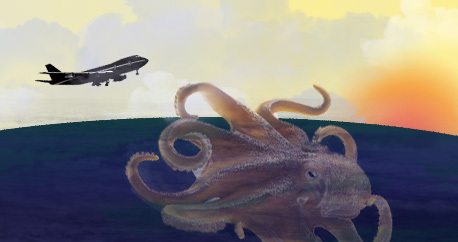 Topic: Squid lures 737 into sea. Squid lures 737 into sea. It would appear that our current logo features an octopus rather than a squid. soon we will be able to 3D print anything in our homes and factories will be a thing of the past, apart from 3D printer factories I suppose.